This page is designated for our miscellaneous products that we wanted to present to you but didn't quite have a proper page to place them in. We also have a wide selection of video. Our newsletter is available for those interested. Our resource page includes a few links. 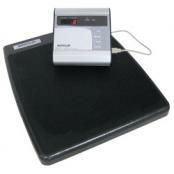 Befour PS-6600 ST Portable ScaleThe nation’s top-selling sports scale. The Befour "Take-A-Weigh" is renowned in sports that require precise weight measurements on the go. Also great for home use, athletic training, and weight management. 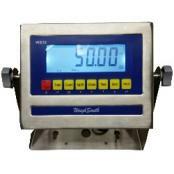 This scale can be taken anywhere and precisely weigh anything from 0 to 500 lbs. to within ± 0.1 lb. 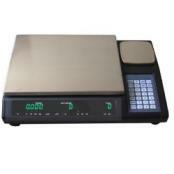 CCS-574 Dual Platform Counting ScaleCCS 574 Dual Platform Counting Scale with main platform of either 110 lb with accuracy of 0.002 lb or 50 lb with accuracy of 0.001 lb. Meanwhile, the sample platform is either 5 lb with accuracy of 0.0001 lb or 2 lb with accuracy of 0.00005 lb. You can even connect to a third scale. Great value and easy to use. 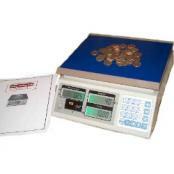 CCS-60 Coin Counting ScalePortable, easy to use coin counting scale. Place the coins on the scale and push one button for an immediate count. Preconfigured for pennies, nickels, dimes, quarters, fifty-cent pieces, and dollar coins. Three customizable keys are available for user-defined coin or token denominations - perfect for arcades. 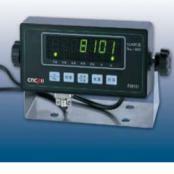 CnCells PA8101 Digital Weight Indicator CnCells PA8101 is a general purpose basic digital indicator housed in a standard ABS enclosure. It comes with a large (.75") LED screen for easy readout of up to 50,000 display divisions, and supplies enough current for up to four 350-ohm load cells. All setup parameters may be entered via the front panel keys. 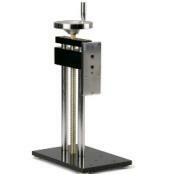 Dillon CT Manual Test StandDillon CT Manual Test Stand applies Tension and Compression Loads. 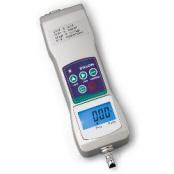 Improves Testing Consistency at ultra-affordable prices and accommodates Dillon and Competitive Force Gauges. 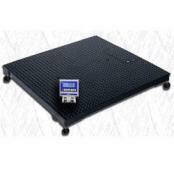 Galvanized Floor Scale SystemGalvanized floor scale with checkered safety tread plate is a great alternative to stainless steel platforms. Hot-Zinc coating galvanization provides the most effective and economical way of protecting steel against corrosion. Galvanized steel offers a unique combination of properties unmatched by any other material. Size: 4' x 4'. Capacity 5000 or 10,000 lb. Intel-Count IDC Dual Channel Counting ScaleThe Intel-Count IDC series is the ideal choice for all your counting needs. 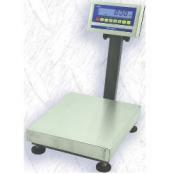 Stainless steel weighing platform. ABS structure. Weight capacity from 12 to 60 lb. Large LCD display. Capacities: 12, 30, or 60 lbs. Built-in rechargeable battery. 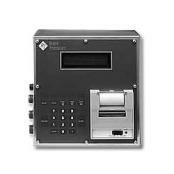 Remote scale input (standard), (1) RS-232 serial port, Full numeric keypad, Three displays for simple operation. 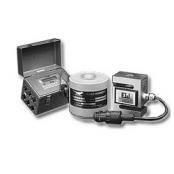 Mark-10 Ergonomics Test Kit Model MKErgonomics Testing Kit has compact design, easy to hold. Simple & accurate job task analysis & ergonomic testing. ADA compliance, workplace design, ergonomic studies. Measure in: kg, lb, N. Flat, curved & square padded attachments mount directly to the force gauge for musculoskeletal strength analysis. Mid America TS Series Electronic Low Profile Steel Deck Truck ScaleThe Mid America Scale TS Series truck scale is designed with 10" tall wide flange I-beams running longitudinally. The spacing of the I-beams is directly under the truck tire path to Increase longevity, strength, and durability. 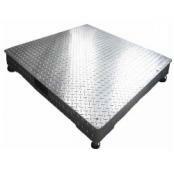 The TS series uses heavy-duty diamond checkered steel safety floor plate. Top access cover plates to all load cells, J-boxes, bolts and side bump brackets make for easy installation & maintenance. Rinstrum X320 Digital Weight IndicatorThe Rinstrum X320 digital weight indicator combines innovation in industrial design and engineering excellence to create an instrument that is ideal for use in food processing, automotive, chemical or pharmaceutical applications or applications that require reliable operation in harsh environmental conditions. Road Runner Jack Point Weighing System ROADRUNNER Aircraft Weighing System Hermetically sealed, compact stainless steel load cells designed around precision strain gage load cells which fit on top of existing aircraft jacks. High strength plastic case for storage, shipping and use. System capacity range covering 15,000 to 400,000 lbs. Shinko Denshi AJ Series Vibra NTEP BalanceNTEP legal for trade weighing balance featuers configurable RS 232 Interface, Windows® Compatible. NTEP Approved. 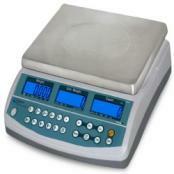 Reads multiple units of measure, Counting, %, Density, Accumulation, Checkweighing. Optional Density Kit. GLP Compliant. 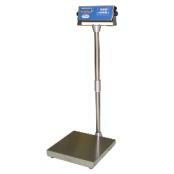 Below Balance Weighing. Optional Rechargeable Battery. Includes Vibra® Tuning Fork Sensor technology. 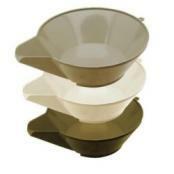 Super ScoopsSuper Scoops are Food Grade Polypropylene, 2 1/2 Quart Capacity. Colors Available: White, Grey or Black. 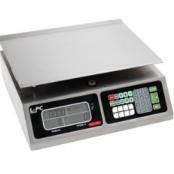 Ideal For things like Parts Counting, Lab Balances, Deli Scales, Mechanical Top Loaders, Small or Large Volume Weighing. 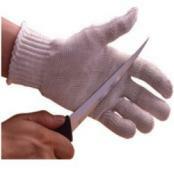 Optional Anti-Static Material for Holding Sensitive Electronic Components as well. 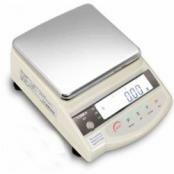 Weighsouth Industrial Bench ScalesWeighsouth bench scale includes WS10 Indicator, models from 60 lb to 600 lb to choose from. Each model has a welded steel tubular base for maximum reliability and a stainless platter with sizes ranging from 12" to 26". Painted column, wall mount, and table mount to fit all applications that you might need. 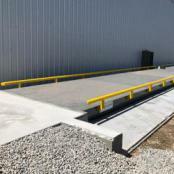 Weighsouth Industrial Floor ScalesWeighsouth Floor Scales are available in a variety of sizes and capacities to meet your requirements and budget. 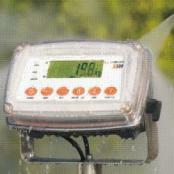 Comes calibrated with WS10 indicator, Battery/AC power, Diamond Tread Plate deck, adjustable feet and more.